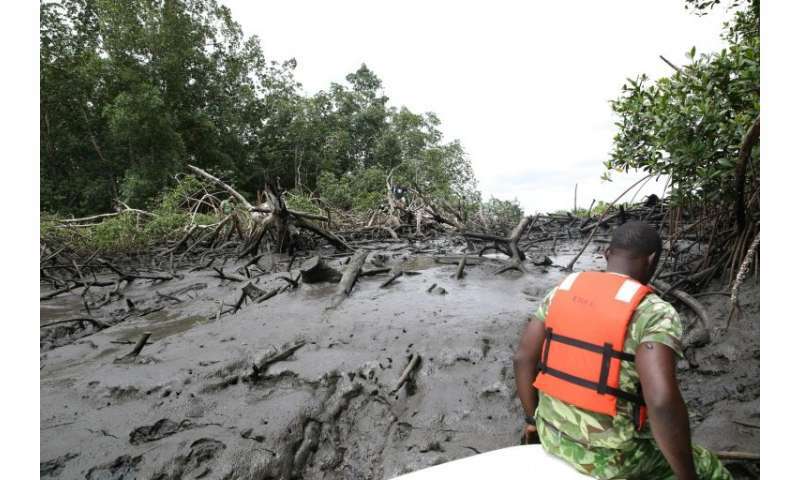 "It's an environmental disaster," said Magloir-Desire Mounganga as he strode across the soggy, spongy soil where mangroves have been ripped up for development near the Gabonese capital Libreville, threatening its fragile ecosystem. 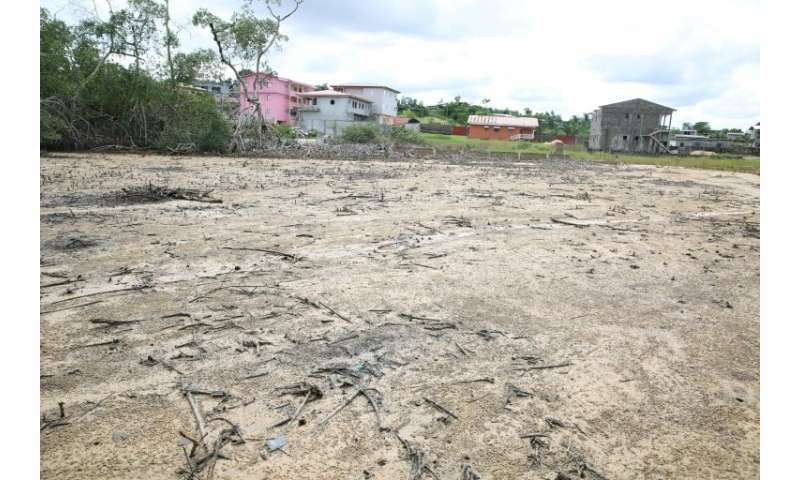 "Here the mangrove trees have been completely razed, you can even see the marks left by the bulldozer," said Mounganga, an expert from Gabon's National Agency for National Parks. The path in the district of Angondje Nton leads to a section of large homes owned by the wealthy. The svelte buildings rise on muddy terrain where mangroves once flourished. Bit by bit, the tough, bushy little trees are being ripped away as Libreville pursues its relentless and almost unbridled expansion. But, say experts, their destruction is depriving the coastal city of a vital ecological reserve and weakening its shield against disasters such as storm surges. "Mangroves have the capacity to retain water and to combat coastal erosion with their (extensive) root systems, which also act as nurseries for marine species," said Medard Obiang Ebanega, a geographer at Libreville's Omar Bongo University. And by clearing away the mangroves and building their homes here, Gabon's rich are creating problems for themselves, said Mounganga. "The ground here is peaty. There's always water in it," he said, boots sinking into the boggy soil. "Peat can prevent flooding, it's like a sponge—but when you cover it with concrete, the water will rise... With global warming, these houses will inevitably be flooded," he said, referring to the danger of rising seas, driven higher by thermal expansion. "This land is not fit to be built on. That's what people don't understand." Gabon, an oil-rich, small equatorial African country of about 270,000 square kilometres (104,000 square miles), has won plaudits for some of its ecological work. The country has 13 national parks constituting 11 percent of its land area, as well as 20 protected marine zones—a strong achievement by the standards of central Africa. Its territory accounts for around half of all the mangroves in the extensive Gulf of Guinea region, most of which are on the outskirts of Libreville—and, in theory, are shielded from urban spread. "This is the only capital in the whole Atlantic basin to be almost entirely surrounded by protected areas accorded high ecological value," said Mathieu Ducrocq, an expert with the ANPN. But the protection is very far from complete. 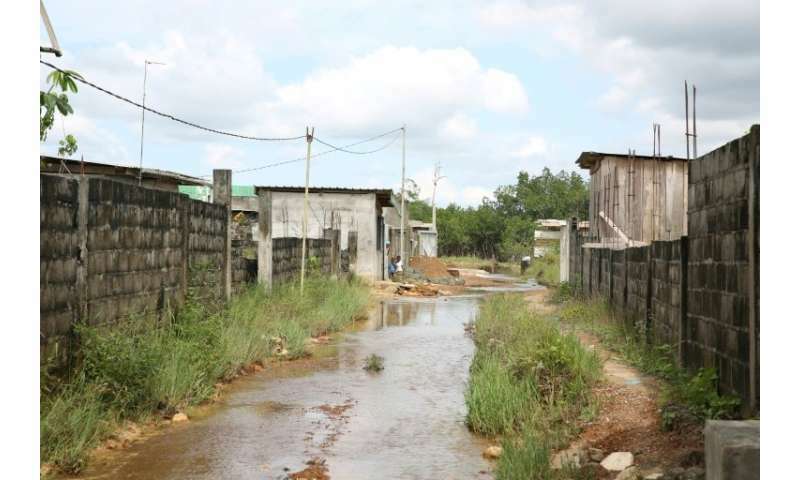 In many cases, Gabonese law gives precedence to those already using the land, which means that plots exchange hands by mutual agreement and the National Agency of Urban Planning simply records the transaction, said survey engineer Pierre Bongolo, a former government advisor. "There are a few pieces of legislation (on urban planning) but they're not applied. For example, the law provides for studies on the environmental impact (of new buildings), but these aren't being done," he said. The phenomenon is worsened by property speculation and corruption, he added. Other problems include poor information—there are no reliable figures for the city's population growth—and inadequate maps of protected areas, something that the ANPN hopes to change with a project named "Emerald Arc" to limit building in buffer zones. One answer, according to a development plan backed by the state in 2017, might be to produce more housing in the few "pockets of urbanisation" remaining in the city and further inland, said Bongolo. He called for a new, tough and transparent urban code. "If we don't take up rigorous urbanisation and land management policies, we run the risk of being hit head-on by climate change, land disputes, increased poverty, disease and mortality."